His deep interests in developing children’s learning and thinking—via being inspired by Seymour Papert in the 60s—were the catalysts for these ideas, and they continue to make up the center of his research. 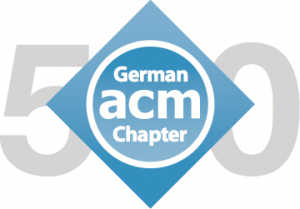 Recognition includes the ACM’s Turing and Software Systems Awards, National Academy of Engineering’s Draper Prize, the Kyoto Prize, and other awards and honorary degrees. He is a Fellow of the American Academy of Arts and Sciences, the National Academy of Engineering, the National Association for the Advancement of Science, Royal Society of Arts, and the Computer History Museum. Marc-Oliver Pahl (MOP): Dear Alan Kay, it is my great pleasure, interviewing you today about the digital transformation! For those of our readers who do not know you yet, how would you describe yourself? 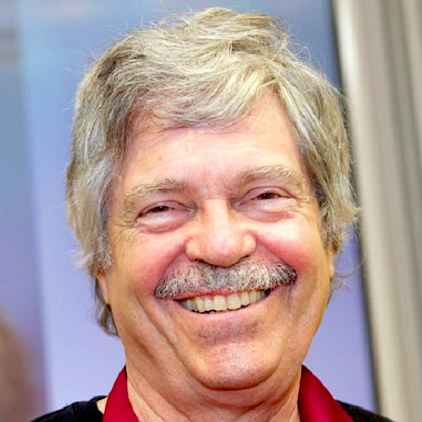 Alan Kay (AK): I’m “a curious reader” about many things, and have gotten into deeper contact and fluency with a few of them (my one page bio is a short summary). MOP: Which effects of the ongoing digital transformation are most prominent for you today? AK: I was part of a research community in the 60s and 70s that invented personal computing and pervasive networking etc., to “advance civilization” for all on the planet. At this point in time only a small number of people are using these inventions in ways we hoped — mostly in the sciences, engineering, some in the arts — whereas the vast majority uses them — at best — as convenient ways to deal with simulations of traditional media, and — at worst — as “legal drugs” for deep genetically driven desires. On balance, I don’t think this is good. Every new invention that has power needs to be deeply understood, and the various forms and levels of education have not stepped up to help people (and children especially) understand the tradeoffs of using powerful media. The children aren’t taught where and what the powers are, nor are they taught about the dangers of the powers. The result is that people have become “the tools of the tools” (as Thoreau said), and can’t see what they are. MOP: So you see many possibilities but society is not using them in the positive way it could. With the teaching you definitely hit a very important spot. Some years ago people were talking about media literacy for people. But indeed it is more than media usage. So maybe we need also something like “Algorithm literacy”. Coming back to you, how do you shape the digital transformation? AK: The way we shaped it was to try to invent the first round of all the technologies needed to make a complete world-wide environment of interactive intellectual amplifiers. I think the reshaping today needs to be done through large important changes in education that will help most people be able to think much better than humans have in the past, and part of this is to be able to form a comprehensive overview of humanity and its communicational and representational systems. MOP: I like the view of technology as a “intellectual amplifier”. Thanks for that image! Which chances do you connect with the ongoing digital transformation? AK: Right now I think things are in generally bad shape. The observations of McLuhan were known to us, and we tried to invent media that would lift (I think we did). But any medium that is pervasive has to be handled with great care, because it can be used in damaging ways that affect the unsophisticated. Long ago I said that “Television should be the last mass medium to be put out into the public without a Surgeon General’s warning (as with cigarettes etc).” What we’ve got today includes television and many other facets that make it truly dangerous to civilization (and attempts to become more civilized). MOP: I see. So you see the risks or misuses of the technological possibilities outweigh the opportunities today.What does, “being human with algorithms,” mean to you? AK: It actually doesn’t mean much to me. “Algorithms” are a tiny part of computing — more important parts are “systems”, “simulations”, “heuristics”, “visualizations”, “learning”, etc. It doesn’t have a lot of presence as a metaphor. I think a better theme might be “Extending humans to be more human via inventions”. This includes inventing new tools and ideas, but it also requires that we invent the contexts and perspectives that will help us become more human rather than less. MOP: Dear Alan, thank you very much for that very interesting viewpoint! Drawing attention on education to enable people to use the available technologies as intellectual amplifiers to advance the human being in our world is a very important aspect! A pity that you cannot make it to the symposium this year!